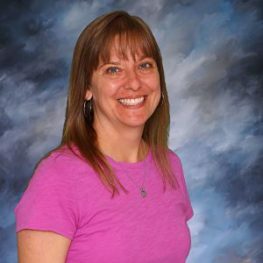 Teresa is a graduate of Bridgewater College with a BA in Elementary Education. Second grade is an exciting time to learn at BRCS! Students are learning to become more independent and begin to take more responsibility for managing their time, tasks, and personal behavior. As one student stated, we are a family of brothers and sisters in Christ because we are all believers. In our small community of faith, we are learning to care for one another and accept each other’s uniqueness. Students are learning to recognize that we all have God-given gifts to share and we also have those areas that require extra attention and patience. While we work and play together, we are building long-lasting friendships that are very special. Bible study is an important part of our day. During first semester, students study the Old Testament and learn about people such as Abraham, Moses, Joshua, Ruth, Esther, and Daniel. We talk about how they model admirable characteristics such as obedience, diligence, loyalty, service, and faithfulness to God. As we enter into second semester, students learn how the Old Testament prophecies relate to the New Testament. We focus on Jesus’ teachings and how we can be like Jesus to those around us. As we study topics across the curriculum, students learn that they find God everywhere! A main focus of our science curriculum is God’s Creation. Students learn about plant and animal habitats. As part of this unit, we visit Brethren Woods to have hands-on experiences with God’s creation. Other science topics are dinosaurs and fossils, natural resources, light, matter, how things move and magnets. A visit to the Explore More Children’s Museum gives us an opportunity to learn more about magnets and explore other areas of the museum. Our social studies curriculum focuses on the building of America. 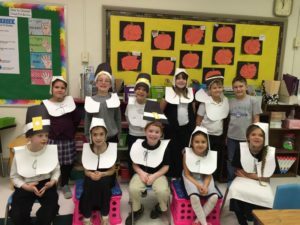 Students learn about the Separatists, American Indians, the American Colonists, American Pioneers, and American Cowboys. After studying our text, students have a better understanding of how our country was built with God’s guidance. Our math curriculum is centered around problem solving. Students learn skills such as 2-digit and 3-digit addition and subtraction, telling time, counting money, measurement, graphing, geometry, and fractions. Each day students work in their math notebooks, which provide cyclical review of many basic math concepts. 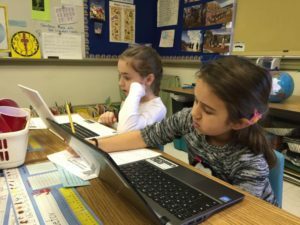 The second-grade language arts program includes whole group and small group differentiated activities that focus on reading, writing, and spelling. During reading we use a variety of text to meet the different instructional levels and interests of students. Writing lessons include grammar instruction, journal writing, and and content-related writing. 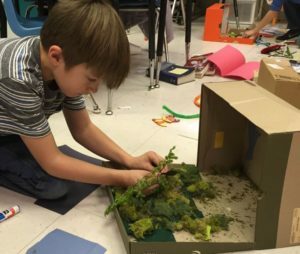 One of our favorite parts of second grade is including STEM projects in many of our subjects. This learning style gives students opportunities to apply new knowledge, use problem-solving skills, and be creative. Learning is fun in second grade!